Considering the collaborative and conflicting dimensions of individuals, groups, and organizations coming together is a most important and necessary endeavor in this age of connection. Working collaboratively on problems can be more effective than addressing them alone. For one thing, partnered problem-solvers are less likely to lock into a particular problem-solving approach than solitary individuals. A key motive for partnering is to gain the use of resources not held by an individual organization. So, a university might partner with businesses to be able to provide their students with opportunities for internships; or businesses might be interested in gaining access to new technological discoveries being developed in a university. Sometimes an organization in a university’s community might lead to the development of new endeavors and strategies at the university. For example, a theater company might offer a unique opportunity for students to learn about the issues and skills involved in costume design. The university’s curricula in art and business might have courses added that take advantage of this connection. Trying to understand partnerships is not always an easy endeavor, even for the partners in a partnership. Sometimes conflicts in partnerships are caused by events in the past that might not be conscious to those currently playing out the resultant conflict. Similarly, partnerships are shaped by many stakeholder and other environmental situations which can make fostering collaboration or mitigating conflict more complicated. In the 21st century, partnerships are frequently international, even global. Engineering students from the university of Arkansas have traveled to rural Belize village to help develop an irrigation system. They might come to realize that the indigenous village leadership has great wisdom which they benefit from in ways that had not been previously anticipated. This volume has many insights into the dynamics of collaboration and conflict that partnerships manifest. We, the readers, are the beneficiaries of their insights. The purpose of the book is to elucidate the paradoxical nature of partnerships. These alliances on one hand are designed to promote collaboration between individuals, groups and organizations, but on the other hand, the processes of their formation and maintenance entail continuous engagement with power struggles and conflict. Partnerships draw their dialectic nature from the complexity ingrained in group dynamics – the interrelations between two focal processes – conflict and cooperation - as maintained by prominent social psychologists and scholars in organization behavior such as Kurt Lewin, Muzafer Sherif, Morton Deutsch and Mary Parker Follett. These processes are often contradictory, albeit at times balancing and potentially contributing to positive group outcomes. This monogram examines the intricacies of conflict- cooperation “dance” in the context of inter-organizational partnerships. The book intends to integrate theoretical frameworks with praxis, as reflected in a variety of organizational, community and national contexts. Beyond our theoretical interest in the phenomenon of partnerships, the impetus for writing the book has stemmed also from practical concerns. There is a growing need for cooperative systems of relationships in light of shrinking resources, global competition, rapid and vast changes taking place in the organizational environment, producing mounting interdependence within and among organizations. Consequently, understanding the processes of developing and building partnerships and elucidating the factors promoting versus impeding their effectiveness deems increasingly important. 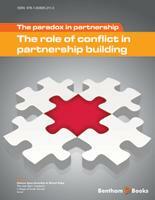 In light of the blurred nature and conceptual imprecision with regard to the construct of partnership and the fragmented relevant literature, the introductory chapter provides an overview of the types of partnerships, impetus for developing them and processes of building partnerships while juxtaposing cooperation with conflict dynamics. Following this integrated conceptual map, Francesco Garibaldo presents a novel approach to labor relations in the era of globalization which embraces the complexities and intricacies of partnership development between Labor and Capital. The author embeds the challenges of industrial relations in the new era in a historical, social and political perspective. The proposed alternative entails a process of partnership development which encompasses elements of learning organization, stressing concepts such as double-loop and single loop-learning, dynamic capability and innovation capability. The next chapter by Anne Inga Hilsen concentrates on tripartism (collaboration among government, employers and employees) which constitutes an example of partnership at work. Tripartism is framed as an ideological and political project, embedded in social democracy. It is accomplished through social dialogue among partners with mutual interests, which increases the odds of equality in gains for all the partners. Subsequently, the chapter of Yonathan Mizrachi and Daniella Ben-Attar presents public-private partnerships (PPP), shedding light on their application in the area of ICT (Information and Communication Technologies) as a mechanism for advancement in developing countries. The authors discuss their major strengths and challenges of PPP as well as ways to deal with some of the impediments (conflicts) in developing them. Sanda Kaufman's chapter presents partnerships in environmental context. This kind of collaborative reflects two kinds of paradoxes: (1) successful partnerships appear to be unsustainable; (2) institutionalization in the long-run undermines participation of the original actors, thus mitigating its resilience. The author explains the double paradox by the Commons Dilemma effect. Syna-Desivilya's and Palgi's chapter explicates the processes of building partnerships between academics and practitioners designed to generate usable knowledge. The authors examine the potential conflicts emerging between academics and practitioners and explicate these disparities between the two groups using socio-psychological models such as the inter-group relations perspective and sociological frameworks underscoring professional socialization and political forces. The next chapter by Victor Friedman and Daniella Arieli presents a cross-cultural partnership while highlighting the contribution of conflict to its development. The authors propose the concept of "negotiating reality", namely, openly engaging discords in the evolving relationships as a strategy for building and sustaining such a partnership. They illustrate their arguments by a case study in an Israeli context – an attempted collaboration between Jewish academics and Palestinian Arab NGO - entailing critical incidents which were reflected upon. The concluding chapter synthesizes the findings and insights of the preceding chapters while linking them with the conceptual frameworks and focusing on factors promoting versus impeding the success of partnerships, in particular their capabilities to cope with their dialectic nature. It addresses the following two questions: What factors influence the characteristics and intensity of the paradox? How can the partners cope with the duality? The contributors of various chapters are prominent scholars of organizational behavior, and social conflict, providing some international representation (Europe, Israel and the United States). We would like to thank Prof. Charles Wankel for writing the foreword, Bentham Science Publishers for their support and efforts and Ms. Michal Shamir for her invaluable technical assistance. We also wish to acknowledge The Max Stern Academic College of Emek Yezreel for awarding us a small research grant which helped us to complete this project. We devote this book to all those who strive to embellish collaborative efforts to achieve mutual benefits to all the involved partners.